The NFC Championship game between the San Francisco 49ers and the Dallas Cowboys was so good you forgot there was a Super Bowl yet to be played. Then with the 59 below AFC Championship Game I don’t know if the Bengals had thawed out from that game. For the first time in memory, you could see the national magazines and media outlets scrambling to sell these teams to the masses. Or actually to sell themselves that the 49ers and Bengals were in the Super Bowl. Sports media was completely reeling from the high profile darling Cowboys of Tom Landry and “Air Coryell” Chargers going down in the conference finals. 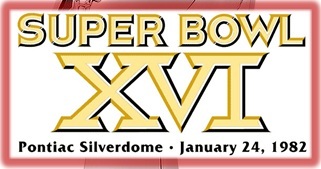 They weren’t ready for both Cinderella teams to crash the Super Bowl in Pontiac. Since Joe Montana had made so many so called experts eat their words with “The Catch”, he wasn’t covered as a great quarterback like he was later in his career. 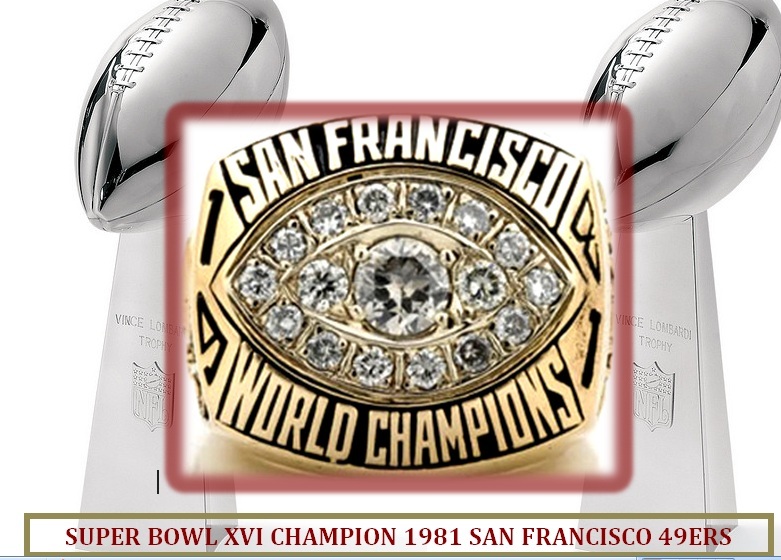 He had thrown 3 interceptions in the NFC Championship before “The Catch.” In fact the national figure that emerged from Super Bowl XVI wasn’t a player, it was Head Coach Bill Walsh. Can you believe a team winning the Super Bowl on the basis of squib kicks? After taking a 14-0 lead late in the 2nd quarter, most teams would be satisfied with the upper hand and not push the envelope. Walsh implemented his genius and stamp on the game with the ensuing kickoff. Totally unprepared, the ball bounced downfield and put the Bengals in horrible field position inside their own 15. Cincinnati played conservatively, couldn’t move the football and punted. The 49ers, on a short field, kicked a quick field goal and hit them with a squib kick again. Archie Griffin (yes OSU fans) fumbled the second squib kick that the 49ers converted to another quick field goal to put them up 20-0 at the half. Of course someone would say “But this was the middle of the game and the Niners were up 14-0.” Yes but in a game decided by 5 points (26-21) you look at what could have been… and these 6 points were the difference in Bill Walsh becoming a genius and Forrest Gregg almost becoming the new Vince Lombardi. 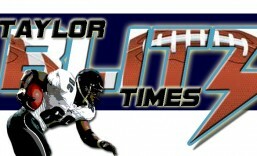 Others point to the great goal line stand in the 3rd quarter that kept the Niners in strategic control of the game. San Francisco was up 20-7, however the Bengals could have stuck to their regular game plan had it just been 14-7 without the special team gaffes before halftime. The late Bill Walsh was meticulous in his preparation and the blueprint for modern coaches to follow. He was the first to spend the game wearing a headset as well as scripting the first 15 plays. To game plan squib kicks into the mix showed he didn’t give lip service to the adage “special teams is 1/3 of the game.” Most coaches say that and don’t implement anything different to use it as a mode of attack. A few of the reasons Coach Walsh scripted his first 15 plays he offered in one of his books. He did it not only because it kept him from getting excited and calling something different than what study showed he should do. It allowed the team to know what plays would be run from the outset and they could perform them no matter how nervous they were at the beginning of a game. By practicing them over and over they could run those plays on autopilot. Before the Bill Walsh coaching tree would blossom and implement his intricacies throughout the league, it was Super Bowl XVI that gave genesis to this. If you take away “The Catch” in the NFC Championship Game, it looks similar to the Super Bowl. There was no marquee performer or performance that you could think of. Super Bowl MVP Joe Montana only threw for 157 yards against the Bengals. They were the first Super Bowl champion to allow more than 20 points in each of their postseason wins. 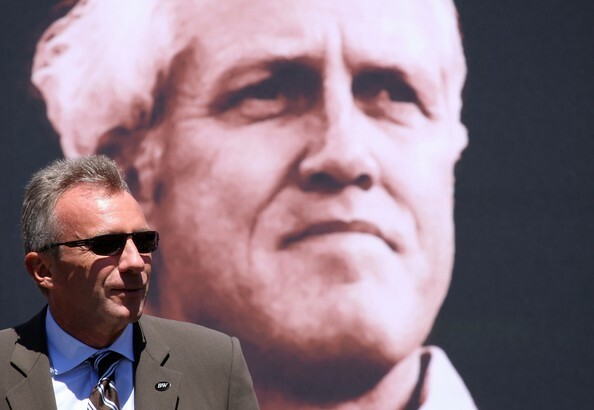 Joe Montana at the public memorial service for former coach Bill Walsh. Bill Walsh made all the difference and is the model each present day coach is descended from. This article is dedicated in his memory. 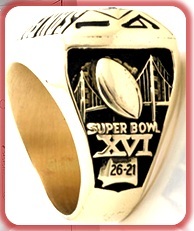 This entry was posted in Ring of Champions and tagged 1981 San Francisco 49ers, Bill Walsh, Joe Montana, NFL, NFL History, squib kick, Super Bowl, Super Bowl XVI, The Catch. Bookmark the permalink.